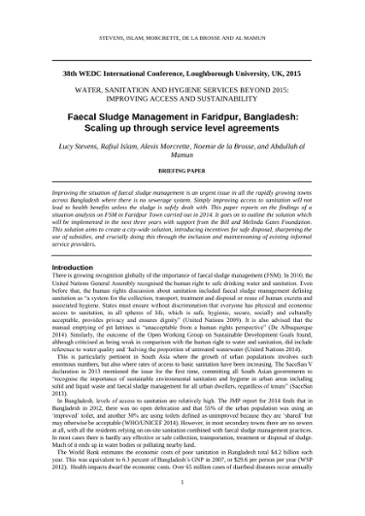 A comprehensive situation analysis of Faridpur’s sludge management system and the relationship between key public and private stakeholders. 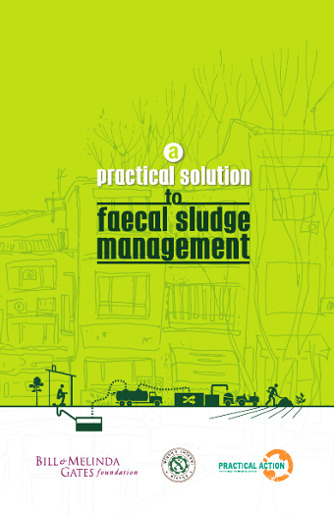 It analyses sludge containment, collection, transportation, disposal and treatment. 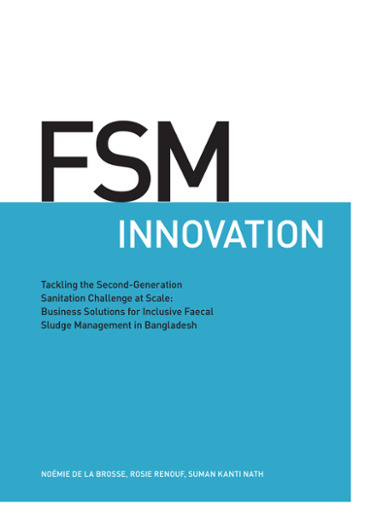 The study considers consumer satisfaction and attitudes towards service delivery and willingness to pay, and the business environment and opportunities to improve the system through public private partnerships in Faridpur. 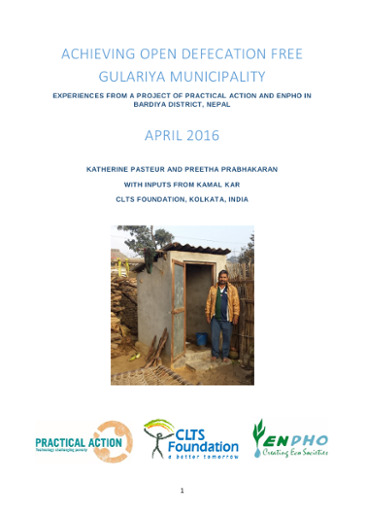 The study adopted a wide range of tools including a literature review of the framework environment, households surveys, focus group discussions and informant interviews with key actors, with comparisons with national and international expert opinion and best practices.